It is unusual for American criminal laws to be used as tools of global trade policy. But that is what has happened these past few months, as the United States has confronted Chinese companies accused of stealing technology and violating economic sanctions laws. At the center of the controversy: Huawei. The Justice Department has unsealed two indictments against the Chinese technology company and its chief financial officer, Meng Wanzhou. Both are accused of a long-running scheme to steal trade secrets and conduct business with Iranian companies in violation of economic sanctions against the country. But can the Justice Department actually obtain convictions that will dissuade Chinese companies from stealing intellectual property? In the first indictment, filed in Seattle, Huawei and its American subsidiary are accused of stealing trade secrets from T-Mobile. 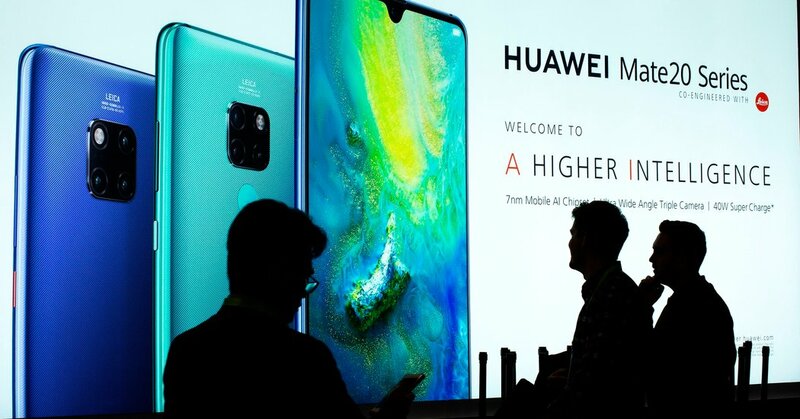 The telecommunications company sued Huawei in 2014, and that civil case became the foundation for the Justice Department’s charges of conspiracy, attempted theft of trade secrets and wire fraud. Prosecutors also added an obstruction-of-justice charge, which involves both the civil case and the grand jury investigation. The trade secrets statute makes it a federal crime to steal or obtain by fraud a trade secret related to any product or service. The law defines a “trade secret” broadly to include “all forms and types of financial, business, scientific, technical, economic or engineering information,” including intangible products like software. The second indictment, filed in Brooklyn, accused Ms. Meng and Huawei of defrauding four banks into clearing transactions with Iran through a subsidiary, Skycom, with which the parent company claimed it had severed ties. As with the Seattle charges, federal prosecutors also accused the company of trying to impede the investigation, by lying to the federal government, as well as concealing and destroying evidence, which included moving potential witnesses back to China, where they would be beyond the reach of prosecutors. The Justice Department seeks the extradition of Ms. Meng, who was arrested in Canada, to the United States to face charges that she participated in a fraudulent scheme to mislead banks, which included lying about the reasons one bank decided to sever ties with Huawei. But the indictments against Huawei are just another step in the pursuit of Chinese companies that have violated United States laws. In November, the Justice Department announced that it was devoting resources to a new “China Initiative” to identify cases involving theft of trade secrets by Chinese companies. The same month, prosecutors unveiled criminal charges in San Jose, Calif., against a Chinese government-owned company, Fujian Jinhua Integrated Circuit; a Taiwanese company, United Microelectronics; and three Taiwanese nationals. The case involves theft of trade secrets from Micron Technology related to DRAM computer memory chips, which can be found in almost all modern computerized devices. The Justice Department also filed a civil complaint in the same case, seeking to prevent the companies from transferring any technology involving the memory chips outside the United States. The Justice Department has obtained significant penalties from parties that have violated economic sanctions laws, including a nearly $9 billion payment from BNP Paribas after it pleaded guilty to processing billions of dollars of transactions in violation of sanctions imposed on Cuba, Iran and Sudan. If Huawei’s involvement in trade secret theft and sanctions violations reaches to the highest levels, including Ms. Meng, then under a provision of the federal sentencing guidelines a court could determine that the company was “operated primarily for a criminal purpose or primarily by criminal means.” That would authorize a penalty “sufficient to divest the organization of all its net assets” — the corporate death penalty. That is unlikely, but it is the ultimate power that federal prosecutors have to stop a company from committing crimes. The use of criminal laws to pursue Chinese companies is a new front in the continuing battle over theft of intellectual property and violation of American sanctions. But whether companies based in China are concerned about possible criminal charges remains an open question, because prosecutors could have a difficult time collecting any fines against them. So the goal of keeping technology safe from theft is unlikely to abate — making it a point of contention between the United States and China for some time to come. Next PostNext FamilyTreeDNA Admits to Sharing Genetic Data With F.B.I.